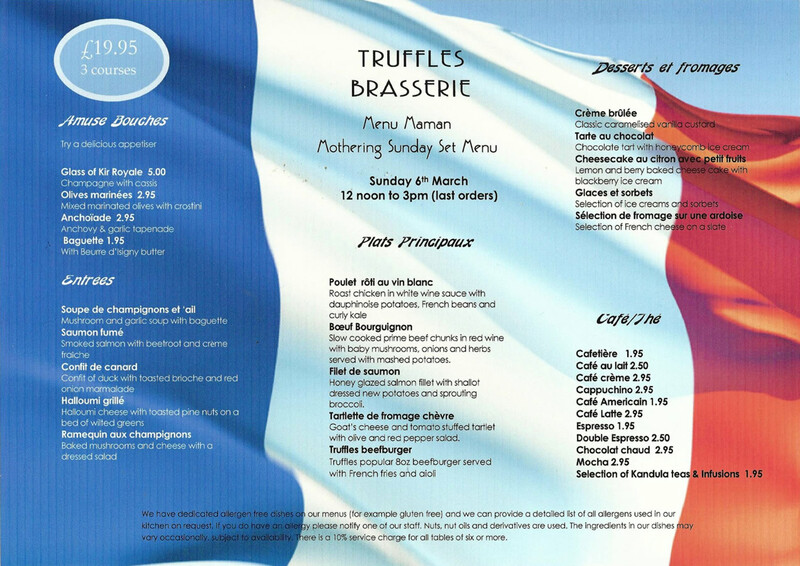 Truffles Brasserie in Bruton is featuring a three-course French-themed menu for this year’s Mothering Sunday on Sunday 6th March. For £19.95 for three courses, (children under 12, £10), this is an excellent opportunity to sample the cuisine from our new chef, Carney Robinson. Lunch will be served from noon to 3.00pm (last orders). To book call on 01749 812180 or reserve online at www.trufflesbistro.co.uk. Truffles is currently rated the No. 1 licensed restaurant in Bruton on TripAdvisor. 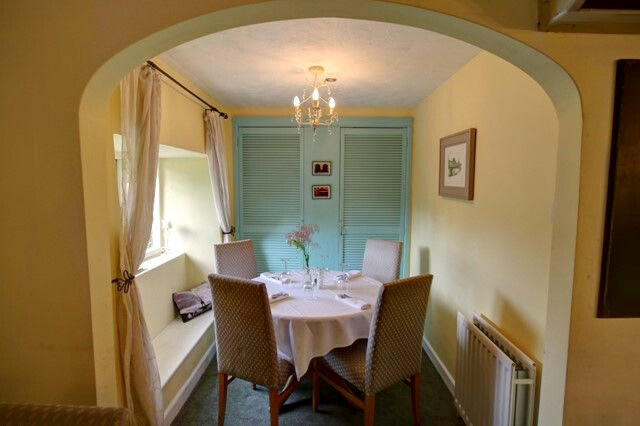 The restaurant is owned by Richard and Barbara Sorapure from Bayford, Wincanton and is a family run, friendly establishment ready to welcome you and your family on this special occasion.